PLEASE CLICK HERE FOR 2012 AUDITIONS. Here it is: the 2011 audition schedule of the best of the best summer intensives. You don’t want to miss auditioning for these major players. (As you might have guessed, most are affiliated with professional companies.) Check out the tours and start planning your audition schedule for 2011. I’ll be posting soon on how you should prepare your annual SI audition season! Ah, the Big Kahuna of SI auditions, the SAB audition may be the most selective and toughest audition that will tour near your town. High arches and hyperextension are pretty much requisite. Not to fear, while making it into the SAB SI (not to be confused with their LA young dancer’s two-week session) is often the only way to get into their year-round program, it is certainly not the only path to a professional career. This is a must for your audition list, but don’t be shocked if you are one of those who don’t make it. If you do, check out some Balanchine videos to decide if you are interested in being trained at the school, and be forewarned that the highly competitive lifestyle of the program is similar to European state schools like the Paris Opera Ballet School and the Vaganova Academy. This one is also a must for your schedule. ABT and NYCB are the top New York City ballet companies, but they feature totally different techniques and their ballet schools are similarly contrasted. While SAB and NYCB train and feature Balanchine-style exclusively, ABT is accepting of many techniques and has developed its own synthesized training curriculum. Their audition tour is comprehensive, and they offer extension programs in addition to their main New York City program. Be advised however, that while some students who only make it into a satellite are able to get into the elite NYC program in a subsequent summer, the satellite programs are not nearly as revered as the NYC program and are thought to be more on the level of a good quality regional school’s program. This year, the satellites include Detroit, MI; Tuscaloosa, AL; Austin, TX; and Costa Mesa, CA. This program takes place in two U.S. locations, Middlebury, CT, and NYC. It is affiliated with the world-famous Bolshoi, and will pay all expenses for 10 select students to attend their SI in Moscow. For more information on the Moscow program, see http://www.bolshoiballetacademy.com/nsli.php. Additionally, two students will be selected to perform in the Academy’s Gala Performance in Moscow, all expenses paid. Highly elite. Audition dates are not yet listed for this prestigious Vaganova technique school, but check back regularly. The fall/winter session is an academic boarding school for dancers. Safe to say this school is one of the top 5 nationally. Harid offers some of the most solid training in the U.S. Very competitive school, very superior training. Like the Kirov, the Harid school is an academic boarding school in the fall/winter. Easily a top 10 school; I believe they only accept 50-60 students for the summer. Just like at SAB and many other top schools, Royal Winnipeg’s summer session serves as the second portion of the audition for their fall/winter session. (The first part of the winter audition is the audition tour.) RWBS teaches the Cecchetti technique and is a partner school of the prestigious Prix de Lausanne. See my earlier post about the documentary TuTuMuch for additional information. Also, check out the School of National Ballet of Canada, a state-funded school with a similar audition process. This very new and very elite school is the brain child of Gelsey Kirkland – if you don’t know who that is, please get your google on and educate yourself! Gelsey envisioned a ballet school that would not only train superior technicians but also superior artists. The focus at this school is on expression and the art of performing story ballets, and the faculty includes legendary master teachers like Gelsey’s former mentor David Howard. You are going to need to have your technical ducks in a row or have exceptional potential if you want to be accepted into this school. This outstanding and selective program takes place in Tivoli, NY, and boasts some of the finest faculty and founders that the U.S. has to offer. When I auditioned many years ago (and was accepted – woohoo!) I believe that they were only accepting 35 students nationally, so it is competitive to enter. 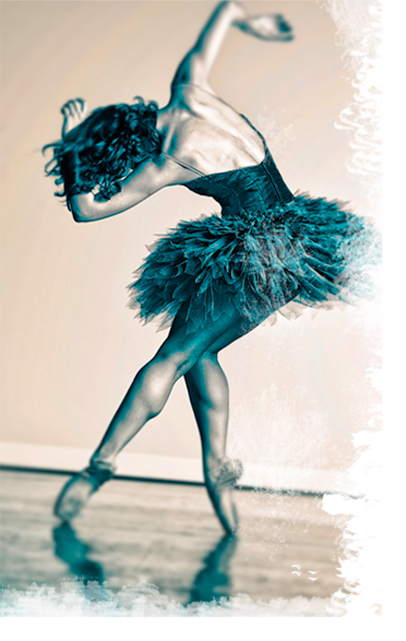 The program is for dance students who are deemed truly capable of becoming professional artists. During the program, students are divided into small groups for personal mentoring and coaching. The Boston Ballet School Summer Dance Program, is highly competitive to enter and provides one of the most elite programs in the nation. Like SAB, this one truly is a must for your SI auditions list… Ok, so I’m a little partial! Once in the program, you will have an opportunity to audition for their excellent school year programs. Possibly one of the top ten ballet schools in the country, PNB School in Seattle is without question worth your audition time. Famous for accepting a young Jenna Elfman into their program, they do tend to often favor taller blondes. San Francisco Ballet and Pacific Northwest Ballet are the two most prestigious ballet companies on the west coast. This is definitely a top ten school and one for your audition list. As the original school of the Joffrey Ballet when it was still in NYC, I understand that it holds no formal affiliation with the company today, but does enjoy an informal linkage. Many graduates of the NYC school have gone on to professional careers with the Joffrey Ballet in Chicago. This is a highly competitive and historically prestigious school, easily in the top 15 nationally. Receive training from outstanding former dancers and master teachers like Gelsey Kirkland while experiencing NYC life. In order to see the audition schedule, you will need to select the programs of interest while creating a free account at the above link. The Rock usually has one of the more comprehensive tours, so if you are in a state that isn’t visited often by major schools, you may be pleasantly surprised by this one. The Rock is a great beginner audition because usually they do not have a limit on how many students they accept. In other words, if there are 20 students from one city that they like, they will invite all 20 instead of having to cut it down to fit a set acceptance limit. If you’re good, they will accept you. Also, they are somewhat flexible on body type. If you love Balanchine style but were not accepted to SAB, Rock is an excellent possible alternative for you. In addition to the SI, check out the very selective coaching intensive at http://therockschool.org/summer/coaching_intensive. Even before Alex Wong made it big on SYTYCD, Miami City was a highly revered ballet company and school. If you love Balanchine technique, this is an excellent alternative to SAB. Very competitive. Joffrey Ballet’s Chicago home is the site for their Chicago Academy’s summer intensive. See above for the famed NYC Joffrey Ballet School summer info. Joffrey Academy is pretty flexible on body type acceptance, even more so than the NYC version I believe. Marcia Dale Weary is a true teachers’ teacher. She has turned out countless professional dancers and contributed significantly to pedagogical study. To apply to the CPYB Summer Ballet Program, fill out the form at http://www.cpyb.org/wp-content/uploads/2010/11/2011-5_Week-Summer-Ballet-Program-Application-1110.pdf. There are countless very worthwhile SI’s hosted by regional companies and schools. I’d recommend that you check out these links to good quality regional SIs: Alvin Ailey, Anaheim Ballet, Atlanta Ballet, American Academy of Ballet, Ballet Austin, Ballet Chicago, Carolina Ballet, Cary Ballet, Festival Ballet of Rhode Island, Goh Ballet, Houston Ballet, Julliard, Kansas City Ballet, LINES Ballet, Long Beach Ballet, Louisville Ballet, Maryland Youth Ballet, Milwaukee Ballet, Nashville Ballet, Nutmeg Conservatory, Orlando Ballet, Pittsburgh Ballet Theatre, Texas Ballet Theatre, Virginia School of the Arts, Walnut Hill, Washington Ballet. In the U.S., there are good quality SI programs in nearly every major city. Compared to the national-level programs I have featured, these good quality second-tier schools accept more students, are often willing to overlook technique in favor of very good potential and are more accepting of different body types. Additionally if you are not quite competitive at a national level but are getting old enough to start planning your professional career, regional schools and companies may be a smarter choice for you in order to look for potential work opportunities. For a complete list of all of your SI options (but with only basic data and contact info), check out Pointe Magazine’s summer intensives audition issue (Dec 2010/Jan 2011, available now) or their online summer study guide. Currently, Pointe has yet to update their online guide, but things don’t change that much from year to year, so you can check it out now to get a feel for things and check back later or buy the print version for the 2011 info. Update: Comments are now closed for this post and for those older than 90 days. However, you are invited to comment on newer ones. Just visit the home page to see the latest posts! If you are looking for advice on choosing the right SI for you, read this post and comment there if you need further info. If you are looking for 2012 information, look for my 2012 list this fall. Thanks! Do you know of any summer intensives for teachers? As a matter of fact, I do! I’ll make a special edition post for this in the next day or so. The Rock School for Dance Education is not in any way affiliated with the Pennsylvania Ballet, since many years ago. Currently, they are an independent school not related to any company. However, do not let this affect you when choosing a SI. The Rock School is a very professional school that has turned out many amazing dancers in elite companies worldwide. Also, each year the Rock School has many students go on to win awards in competitions such as YAGP and IBC. It is one of the best ballet schools in the country. I also recommend for anyone thinking about attending the Rock SI to also considered the 1 week coaching intensive as well. Thank you, dancer49384, for this valuable correction! I will update this post to reflect that info. PNB looks like a great summer intensive. As you say, they favor tall, blonde ballerinas. I am the exact opposite. Should I still try out and see what happens? I am quite advanced and 15 years old. Thanks for all of the information! ballet22luvr, you should absolutely try out. School preferences, whether rumored or true, are a good to keep in mind – but that is all. They are not to be taken too seriously. If you feel you are technically prepared, go show them what you’ve got! They will not turn down a superb student simply for hair color, etc. Audition for as many schools as you can – I just can’t tell you enough how valuable it is to a) meet and be seen by the teachers that are sent to these auditions, b) meet/be exposed to other talented dancers in your area, c) get corrections from the excellent teachers sent for the audition and d) get more comfortable and at ease with selective auditioning through each audition process you attend. The whole experience (especially for a highly regarded school like PNB) is invaluable for a well-rounded dance education as far as I am concerned. And don’t be afraid of rejection – as you can see, there is a lot of value to be gained here besides a summer acceptance. Best of luck! I’d love to hear how things turn out. She will also be auditioning for the Gelsey Kirkland Academy. I am a little intimidated after reading your comments. Will my 15 year old feel intimidated there as well? Does she stand any chance there? I encourage students of an intermediate or higher level to take as many auditions as they can. Ideally, all schools would ensure a positive/encouraging audition environment. Most of them actually try hard to do so, but there is sometimes no buffer for a student who simply isn’t technically prepared yet. Sending her in too early in her development could due more harm to her self-esteem that the experience would be worth, so I think with only 2 years serious training your caution may be well-founded. Preliminarily, my thought is that it may be wise to wait one year before attending a major audition like Kirkland’s unless you feel she is mentally prepared to truly just go for the experience – no tears if she is cut early or finds the other students intimidating. She must go solely for the experience of seeing what is out there and meeting the surely high-quality adjudicators. There have been some very good reports of Kirkland’s auditions, but auditionees have reported that it has a highly competitive audition style and atmosphere. Washington is not as competitive as Kirkland’s new school. A friend of mine who attended the WSB SI reported a very friendly environment, and they offer good training with a more open acceptance standard. Also, Kirkland’s school is a late-summer term intended for cultivating artistry which, although very important at every stage, may not be the best primary focus for your daughter if she is behind her peers. I can’t assume too much until you respond, however. Thanks! I just privately responded to you. Thank you so much for your thorough answer. (She did attend summer intensives last summer at 3 studios – so I know she has the stamina). I respectfully disagree about audition easiness: Not all audition classes are ridiculously easy as a rule, once you’re in the oldest set. Also, “easy” is a subjective term – a single demi-plie is easy to understand and mimic, but hard to do truly well! That said, if she is pestering you about this and wants to go (and since you have already scheduled it), by all means let her have the experience. Hopefully she’ll excel, and if not she will certainly have something to work towards. I absolutely recommend auditioning for Washington regardless of what you do on the Kirkland school. WSB is a good school with great training and good people behind it. I think that is more the type of SI she should be focusing on right now – national in scope, but not necessarily top 10 or 20. What other auditions are you all considering, by the way? Please send her “merde” from me. Best of luck and I hope you’ll let me know what you decide and how it goes! Thank you again for your helpful comments. I wish I came across your blog sooner. I will take your warning into consideration, but maybe auditioning will help her develop a thicker skin for this business. She is pretty tough and has handled “mean girls” in her previous studio rather well. She stayed only because she really liked the teacher and only left when the woman retired. We are even more encouraged about Washington now. I will remind her to go for the experience at Kirkland and try to have fun. Her current teacher is still encouraging her to audition at SF also. (I will let you know what happens and what she decides). Those are pretty much the only intensives she is auditioning for this year. (She might apply to CPYB since they don’t require an audition. Or take a placement class at Academy of Ballet in San Francisco). My daughter understands that many girls are going in hopes of finding work in a company, but she definitely does not have that expectation. But she does have professional aspirations (for ballet and ballroom). Here is an update. My daughter was accepted at Gelsey Kirkland’s intensive!! She said it was very competitive and the combinations in the center took forever because of the large number of auditionees. Thank you so much for the advise on mental preparation – I think it helped her. I’m sixteen but due to some unfortunate circumstances I have had to take a few breaks from ballet. I’m probably at the average thirteen or fourteen year old’s level. I want to go to a good summer intensive, but I don’t know where I can go. I was thinking about auditioning maybe at Houston or Washington, but I dont want to make a fool out of myself at auditions. What do you think I should do? Without further information, I cannot assess you personally . However, if I had a student of sixteen who was 2-3 years behind her peers, I would certainly send her to Washington’s audition if she were dedicated, talented and hard-working. I may also send her to Houston if I thought she were mentally mature enough to accept challenges as inspiration instead of a personal failure. An intensive summer program like one of these can be just the ticket to upping your level in a short period of time and play “catch-up” a bit. I say go for it, but if you are really concerned, send me a confidential email on the Contact page with info on your level and class schedule, and I’ll be happy to discuss it with you further. I have to say that SAB is the most intense audition 🙂 It was very intimidating because literally, THE BEST OF THE BEST of 14-15 girls (my age group) were there! There were like 4 girls who were anerexic looking and dance like they were weak and ill. And then all of 2 girls who were heavier and the rest were like me, (around 5’2, skinny, medium-high arches, slight hyperextension, and skinny legs but not too skinny) Do they only take the girls who are freakishly skinny? Do you know if they have a preffered body type? Thanx! As for preferred body type, SIs including SAB are looking for dancers of a healthy weight who have a suitable physical facility for ballet. By facility, I mean dancers with good rotation for turn-out, long-ish and flexible limbs, supple muscularity, balanced proportions and an overall good “look”. A body with a longer limbs and a shorter torso may be of particular interest to them. If you Google “Balanchine body”, you’ll undoubtedly find a lot of info about the particularly skinny look that Mr. B required of his dancers. I am not going to tell you that some SIs, do not accept underweight dancers. However, let me seriously caution you that without a proper muscular structure and proper food intake, a dancer simply cannot perform as required. Sadly, some SIs might overlook an underweight dancer who is able to “get through” an audition, but these dancers generally do not make it far in ballet due to their sheer inability to physically keep up. It would be remiss of me to state that preceived excess weight never comes into the equation of rejection, but the most important thing is to be of a healthy athletic weigh, and that means being neither under nor over-weight. Instead of focusing on body type, you should know that SI auditioners are mostly focusing on your musicality, ability to pick-up choreography quickly, coordination, style, good quality training, and love for and enjoyment of dancing. I will post soon to elaborate on what SI auditioners are looking for, but I hope this helps in the meantime. Merde on your auditions! Susie, your daughter must be extremely talented if she can get into such competitive programs after so little training. How intensely does she dance if you don’t mind my asking? My daughter takes about 15 hours of ballet per week, so she is in the studio Monday – Friday (sometimes Saturdays). But she has a very dedicated teacher right now who is very attentive. This is the key!! Thanks! Does she aspire to have a professional career? Getting into Gelsey Kirkland is a huge accomplishment she must be very talented and she must work really hard. How many people do Boston Ballet take per summer for the 10-14 Newton program? Maria – THe program Overview, found at http://www.bostonballet.org/school/summer/SDP-Newton.html, says it’s comprised of “140 young men and women. Check out that link for more details. How many people do they take in the Newton Boston Ballet Intensive? My daughter (14) is recovering from anorexia (thankfully, it was caught early and she was not too skinny). She has been in intensvie therapy and followed by a preeminent eating disorder center. She is doing very well and about her at normal weight now. I think her doctor will release her by the summer to participate in a summer intensive. She was recently accepted into Harid’s summer program. Do you think it is a bad idea to allow her to attend and do you think Harid accept her into the program given her recent history? My prayers go out to her and to you; I am thrilled to hear that she is doing so well in her recovery. Also, hearty congratulations to her for getting accepted to Harid. It is good that you are not taking the issue of her attendance lightly, as going away for training is a serious and strenuous endeavor. As for whether it would be a bad idea for her to attend, I think that question is best put to a conference of her therapy team and dance teachers, but I will provide what opinions I have on the subject. I think it depends on the underlying issues that sparked her disorder. If dancing, learning ballet and/or the search for perfection that ballet can inspire played a primary role in this issue, I would think that she might be better off at home working on her therapy for this summer. However, if that is not the case and you and her therapy team decide that it could be therapeutic for her to pursue her passion and get away from home for a while, there is nothing about the school in particular or its environment that concerns me. In fact, it is an excellent school and has a more nuturing atmosphere than some others. That said, I strongly, strongly encourage you to speak openly to the faculty before making your decision to find out if they have any opinions or recommendations and to allow them the benefit of awareness so they may adjust her training accordingly if necessary. There are some great people over there, and I believe they would be sensitive and frank with you about whether they can properly train someone in her stage of recovery and feel they can offer an appropriate environment for her. Best of luck, and I hope you will let me know how it goes. I auditioned for Orlando but unfortunately since I’m behind for my age I was declined. I really wanted to go to Orlando partly because the cost is alot less than others and because it is a long program. Are there others that you would recomend for me? Can you remind me what schools you auditioned for already and what schools you have left to audition for? And don’t underestimate CPYB. It’s an excellent program which requires no audition. It’s five weeks. (Five to six weeks is a solid summer program.) Alternatively, you could go to two different 3-week programs and still make a lot of progress. Why have you ruled out Burklyn and Atlanta? Both programs will have great teachers this year and aren’t much more expensive than Orlando. You can apply for a scholarship at Atlanta as well. You’re going to have to explain to me why you “don’t want to go there”. If you are serious about your training, you will give serious consideration to the schools that have accepted you. Sorry I didn’t specify. Atlanta has two intermediate programs, I’ll still be in school during the first. I want a longer program since I want to catch up as quickly as possible. Burklyn’s price is a little bit out of our range. Two weeks is close to three thousand, whereas I heard Orlando is around three thousand for five weeks. I’ve also heard from people that some in Burklyn are not as dedicated as others and that at times the enviorment can seem a bit unprofessional at times. Thanks for clarifying. I will agree that Burklyn has a reputation for having an SI that is not on the intensity-level and technique-focus of some other SIs. I have also heard that their classes are large, which can limit individual attention. If Atlanta conflicts with your schedule, it looks like Orlando may have as well. However we look at all of this, if you want to attend an audition-admission SI, you are going to have to compromise on something given that you did not get into your top choice programs. Will you compromise on faculty? cost? length of the program? My mantra is quality over quantity, so if it were me I would choose a better program for a shorter period of time. But I am not you – you have to make the decision. Don’t forget about CPYB, though. Check that out, and also check to make sure there are no other auditions you could squeeze in before the season ends. I’ve checked and I think I may audition for Carolina Ballet. I havn’t reallly heard much about it but I though I might as well fit in one last audition, hopefully doing better than the others. I’ve checked CPYB and I’m seriously considering it. I talked to my ballet teacher about it, she seemed doubtful that I could handle it but I think she underestimates me. It looks like it may just be what I am looking for. So thank you! You should be very proud of yourself for auditioning for these programs – and getting accepted to at least two. Carolina Ballet has a relatively strong program. If they’re auditioning, it’s worth your time to go and may very well be within your reach. CPYB does seem to suit your needs very well though. I really hope you find a summer program you love and have a wonderful experience. If your goals are to dance professionally, your current schedule is too light. You should consider increasing your load to 3-4 classes per day. As for LABSI, the company is well respected. The school teaches a combination of Bournonville and Balanchine, which is delightfully rare. Because it is a smaller program, you have a greater chance of increased invidual attention. If you are staying in CA, it’s a good, quality option. My daughter was accepted to Orlando ballet with scholarship and Alonzo King Lines ballet. She really wants to work on her technique, but is especially excited about the Lines program. She is 14 and entering her sophomore year of high school. Any info. would be helpful. The scholarship at Lines is a sign that they may be a bit more interested in her than Orlando is, which may translate to additional attention. Lines is a very good program aimed at creating a versatile dancer. Their classes are not too big, and I believe they are already offering gyrotonics. You might be able to find more strenous schedules at other intensives, but it is still a very strong program with great teachers. Orlando is a very good program too, but this is a transitional year for them given that it is the first summer program fully directed by Deirdre Miles Burger. Burger has a history of creating excellent ballet training programs as the former Principal of Boston Ballet School and the founder of the Boston Ballet trainee program, but you may prefer to wait a year in order for for the Orlando summer intensitve to iron out its inevitable transitional details. My daughter will be 15 in June and has been studying ballet since a small child. She dances 5-6 days a week. She is looking for the right intensive for this summer. She was accepted in Joffrey NY all programs and Rock and Ballet Nouveau. Can you rank these programs for us? I cannot “rank” the programs for you, but I can tell you what I know of them. These assessments are all very relative and exist on an mutable scale. More importantly, each program has different strengths and characteristics and you need to decide what your daughter needs and which program aligns best with those needs. That’s what it really means to find the “right” intensive. In fact, the three programs you’ve named have very distinct differences. If you haven’t already, please read my article “Choosing Your SI” thoroughly and use the resources I indicate there. With all that in mind, Joffrey NY is a high-quality classical ballet program that is more of a conservatory-style since it’s not connected to a company. Class sizes have been reduced, which should allow for more individual attention. Housing can be tricky to find, but they are improving that situation every year. I don’t think there’s a food plan yet, though, so you may have to provide cash for your daughter to handle that herself. This is definitely a program for a mature young person who can handle some independence. I beleive there is also a very particular dress code including leather ballet shoes and specific leotards and (for performance) dresses. Rock is also not connected to a company, but provides a high quality program. The program is mostly Balanchine style, which your daughter may or may not be interested in. There is a much more hand-held set-up logistically – dorms, food program, buses, etc. They usually have large class sizes. I actually know little of Ballet Noveau, though I’m pleased with what I’ve heard/seen so far. That said, this is a distinctly contemporary ballet company. (Think So You Think You Can Dance.) If your daughter is looking for a dance education that stresses contemporary dance and movement versatility, this is a good option. The day starts with a classical ballet class, but then moves on to other movement forms. The program may not be as strenous as some others in terms of technique hours. Also, they are selling themselves on giving the dancers an opportunity to work under the Artistic Director and receive individualized attention in class, though I don’t know to what extent that is the case. Thank you for all your wonderful articles for moms and dancers to learn about this whole world of ballet and summer intensives. This is my daughters third year of intensive auditions and by far the hardest so far. We are indecisive about what to do this year and would like your input. She has been to Abt alabama and Joffrey junior intensive in NY. This year she got into ABT texas, Kirov in DC and Gelsey Kirkland (junior division) My daughter is 15 and is really wanting to strengthen her technique as well as have some performance opportunity. Our deadline for ABT has already past and so we are weighing all the options of these two programs. What can you tell us about the strengths of these programs for a dancer of her age? Yes, that ABT deadline is a real wrench in the works of most auditionees. I hope that changes in the coming years. All three of the intensives you have listed are great quality, and your daughter will likely improve at any of them. It is fairly well accepted that the ABT program’s strongest location is NYC. I think Kirkland’s program and Kirov are neck and neck with it however. Therefore, unless there is some specific reason that ABT TX is appealing, I would lean toward Kirkland and Kirov anyway. Kirkland’s program itself is new, but the teachers involved are all of the highest calibre. Kirov is a very high quality program that has been around for quite a few years now. None of the programs are affiliated with companies such that there are immediate employment opportunities, but if improvement is her goal, I think you will be pleased with either. The goal of Kirkland’s program is to foster a classical story-ballet dancer. Certainly a rare thing these days, since most programs forget about acting, pantomime character development and projection in favor of modern dance classes and the like. Kirov has a great all-around intensive for strengthening technique in a traditional Russian classical dance program. So, it just depends on what your daughter’s goals are for her summer. Kirov offers performance to those attending Session II of their program, and Kirkland of course has an end-performance as well. Congratulations to your daughter! I hope she has a lovely summer. Also I forgot to ask, what do you know of a program in Novi, Michigan, Russian Classical Ballet Festival? It seems very interesting. Russian Classical Ballet Festival seems to have some strong teachers. It’s a short August program. I’ve never understood why they sell their program on the performance that the students do with other professionals. That always made it seem to me that the star-power was more of a focus than the training itself. I really don’t know a too much about it, though, so it may very well be a really good program. Might be good to try as an add-on for after another program, if the expense is not an issue. As a student of the Academy and a participant in the previous year, I think I can explain why they market the show so heavily. From my experience, it’s because they want to highlight the networking and performance value of the program. Obviously, the academy has fantastic training as well, but for the students who attend year round, the new and exciting teachers offer a chance to learn something new from someone new. Besides, the ‘star power’ does wonders for the work ethic! Everyone does their absolute best in front of the professionals who they admire. In addition to that, almost all of the students who attend the program go to other summer intensives as well; whether it’s Gelsey Kirkland, SAB, ABT New York, the Kirov Academy, Kaatsbaan, or summer classes at the Academy. I think I’m going to Maine this Saturday to audition for the Bossov. I’ve heard good things about the program do you have any additional info? Very good, small class sizes. A full-length story ballet is the end-performance, sodepending on the role you get it’s a good program for getting some classical rep under your belt. I think it would make for a very good starter SI. I hope your audition goes great! My daughter is a serious ballet student looking to work professionaly in the ballet world. She turned 16 in January and is a sophomore in high school. She dances 6 days/week, approx. 17 hours+ at her home studio, a small school with serious, excellent teachers. She has been told for a few years now by various teachers through her home school, master classes and intensives that if she continues to work hard, she definitely has a shot at dancing. Having said that, she does not aspire to be with the New York City Ballets of this world. (not that she wouldn’t love it but…) She simply loves to dance and wants to have the opportunity to dance for a living. My question is re: intensives. She was accepted to Ballet Met’s pre-professional program on scholarship, to Ballet Austin, Nashville Ballet, Bossov Ballet (there last year) and Joffrey dance lab which is later in the summer for only 3 weeks. (not sure what happened at the Joffrey audition but it was a crazy day and she was off her game, so we are actually happy they even gave her the dance lab session) We are looking at schools with a strong trainee program for the not so distant future. Question…is it smart at this stage of her life to go to an intensive at a company she may or may not gel with or should she do the 3 week program at Ballet Austin or Nashville (they have this option) and then go to the 3 week Joffrey program. This would give her a taste of 2 companies and them a look at her…but she is worried she will not look like she is serious if she only goes for 3 weeks. I hope this makes sense. Sorry it is so long but I just need another opinion. Thank you so much! Thanks for your kind words and for reading! Your daughter sounds a lot like me at her age – just happy to dance anywhere that will have her. Please read my Choosing Your SI article and use the resources provided there. Also I am compelled to give my usual soapbox speech: I am not sold on trainee programs in general – I find them to be a market-driven necessary evil. You can usually count on two or three of the trainees to make it to the apprenticeship, and then maybe one or two apprentices making it into the company. Those are slim odds for an investment of two years and thousands of dollars, so be sure you are really prepared to do it just for the training if that’s all you get in the end – that’s the position that most trainees find themselves in. I’m sure you know from my other responses that I can’t make a decision for you, but I’ll say what I feel I can safely say about your options. In my opinion, it would be smart to go to BalletMet. It’s usually worth it to follow a scholarship lead and see if that develops into anything. It could take a couple summers to establish any possibilities, though. Bossov Ballet is a small program with very small classes, which is great for increasing individual attention. Ballet Austin has a decent program, but be aware it is Balanchine-based. Versatility is important there. Nashville Ballet is at the top of the regional company SIs. They have large classes, but they try to give a substantial amount of individual attention despite that. This is a good program to go to in order to see where she stands at a strong regional company. I think only the top few levels get partnering, so that’s something to be aware of. Joffrey Chicago is pretty strong, though I don’t know about their DanceLab. Compared to good regional SIs, it seems more like a dance camp than a true intensive. If you can split the summer with one of the other schools she got into, that might be a better use of her time. Congratulations to her; I hope she has a wonderful summer. And don’t forget, she does have a few summers yet to build on this, develop opportunities and check out other companies/schools. Thank you so much for your advice and opinions…I have no problem with soap boxes:) My first thought was the same as yours…Ballet Met with the scholarship, and not because of the money but the interest in her. I’m pretty sure there is no partnering at Joffrey dance lab (which she has had quite a bit of experience with already and would like to build on) so that is a red flag for us. I have “been told” that they see someone who interests them a bit and put them in the dance lab first but who knows how accurate that is. I was interested to hear your thoughts on trainee programs and it makes perfect sense. Not to get on my own soapbox but that’s how I feel about the whole SI situation in general. Maybe it started right and the intention was good, and maybe it helps with exposure and such, but it is a cash cow, plain and simple. My daughter has excellent teachers and I could pay for a month of private classes for the cost of some programs, but sometimes you have to play the game:) I will definitely remember what you said and encourage her in every way possible to make the best decisions. I wasn’t sure how important it was to have a “bigger” name like Joffrey on her training resume (although she has ABT and then Bossov and Orlando). She could possibly split Nashville and do Joffrey but I think she might be leaning to Ballet Met too. Anyway, it is so nice to get help from someone who has nothing to gain and only wants to help these young dancers…and parents:) I love reading your posts and also your kind and informative responses to comments. Thanks again!! So glad to be helpful! As far as “big-name” programs go – always just go for the best training possible and forget the name. At the end of the day when the dancer is in the audition, I promise it will be the dancing that the Artistic Director will care about. They don’t give much of a hoot where the dancer trained. Sometimes big-name programs do have the better training or better serve the dancer’s training needs because they attract top teachers and can afford to be selective and choose only those students that interest them, but that’s not always the case. Overbooking classes and lack of interest for the individual student can cause a dancer to get lost in the competitive shuffle or simply get pushed through the program like cattle. So always be looking for the program with the best combination of top teachers, small class sizes, selectivity, a reputation for nuturing the individual dancer and a truly intensive schedule. Hi there. I am new to the whole ballet world but doing my best to learn as much as I can for my daughter’s sake. She has just started dancing only a year and half ago but has really taken off. She is young, but loves to dance and is taking 8 hours a week in the pre-professional class at her studio. All of the girls in her class are older and have been auditioning and being accepted into some highly regarded programs, ie. Boston Ballet, ABT NY, and Joffrey to name a few. Because of her age, she was unable to audition for most of them but was able to audition for Bolshoi SI to which she was accepted. That being said, have you heard of any feedback on the Connecticut program? Is it worth the higher cost? (it seems to be almost double the cost of the others) She really wants to go and I want to make it happen for her but I just wanted to know if you have any feedback on the program. Also, I would not send her up there alone, she is still too young, in my opinion, to be staying by herself so she wouldn’t be staying in the dorms. Would love to hear if you or anyone has any insight. Thanks! This is a wonderful opportunity, but if she is under 13, I’d likely recommend that she wait until she’s reached that age to attend an SI away from home, unless her home studio really leaves a lot to be desired – which it sounds like it does not. As for Westover, I have heard great things about that program. By all reports, it’s very safe and very nurturing while also being appropriately demanding and intense. They focus quite a lot on really perfecting the small points of technique I understand. However again I’d have to recommend she wait until she’s over 13 if she is not. Don’t underestimate how hard it can be on a child to be away from home, even if he/she is thrilled to be going to an SI. Also young dancers typically get more from consistency in training at the younger ages than they do from an infusion of new, short-term training. PS – I have heard that the residential facilities have no air-conditioning, though I’m not sure if that’s still the case. Hi, I just came across this article. My little sister (10 at the time) and I (13 yrs old) went and danced at the Bolshoi Ballet Academy Summer Intensive at Westover this year and was part of their six week Intensive. Bolshoi is amazing! My teachers were great about making sure you had a little bit of time to rest a blister or something like that if you got injured. Put it this way-I had gotten a bruised toe nail form breaking in new pointe shoes, and my teachers would not allow me to do pointe for at least a few days because they wanted it to heal faster so I could actually participate in the class instead of focusing on the pain. They were also really good about working with your arms, feet, extension, placement of the head, hip placement, and other technique details. We had translators in every class, but if for some reason the translator was late, the teacher would show us what to do with their body and hand motions and explain it in Russian. My little sister who was 10 at the time was in the lowest group possible (because of her age and technique), and after the 6 weeks, the director wound up telling her that she improved so much that if she goes again next year, she would most likely get moved up to the next group. The counselors are very fun and easy-going. The environment is fun and I make sure to Skype my friends that I made almost every day if I can. And yes, there is no air-conditioning in the dorms. But if you do want a room with air conditioning, you have to pay a lot more money than if you got a room without air conditioning. I’m so thrilled you guys had such a positive experience. Thanks for sharing it here! It’s great to know how much the faculty cared about the students’ well-being. Students should not only be taught technique, but also how to handle injuries and protect themselves with rest and patience when injuries happen. Great to hear that it was a fun, easy-going environment at the same time that you were learning so much! (Andrei was amazing) and the rest of the staff. You will be treated like family:) I’m actually sorry it’s not better known. The teachers at her home ballet school noticed my daughter made huge strides with the small classes, personalized attention and the chance to perform a number of roles in the full length Sleeping Beauty. (and a plus…we fell in love with Maine:) Good luck to you! Thanks! I’m actually kind of glad that they aren’t as well known because then they would have to be more selective about their summer programs. This is one of the only places I’ve found that teaches based on a love for ballet, not just looking for the biggest superstar, or trying to get the most amount of money. I’m sixteen and a little bit behind for my age, so I feel so lucky to have found this program and I am very excited for summer! They’re doing swan lake this year! Just found this site and love the information it provides, very helpful. My daughter is deciding between Joffrey Chicago Dance Lab and Ballet Chicago’s advanced intensive. Obviously Joffrey has more name recognition…..but I was very impressed with Ballet Chicago’s organization and personnel. Their caring, knowledge, and communication are very impressive. My daughter has a diverse dance experience in areas of Ballet, contemorary, jazz etc. One thing that interests her about Ballet Chicago is the opportunity for partnering which would be new for her, We do not believe she would have that same opportunity at the Joffrey Dance Lab but do not know for sure since there is very little information about it anywhere…..which is somewhat concerning. My daughter is serious about dance and will be attending high school at a performing arts school for dance this fall in our local area this fall. We are looking for guidance from those more knowledgable than us on these two programs…….it is much appreciated! I think your gut instinct is guiding you in the right direction. Ballet Chicago has a lovely school. Joffrey’s Dance Lab is not a bad program by any means, but I understand its more akin to a dance camp than an intensive. Also they do not have partnering. (Realize that the Dance Lab is separate from their SI.) Finally, name recognition should not be a factor that comes into your calculations. Focus on the quality of the teachers, the hours of dancing per day, the philosophy of the school, and other things, as I mention in my Choosing Your SI article. If you have not read that one, go ahead and do so. Great comprehensive listing. I was wondering what you know about the Kirov program. I understand that Marat Daukayev and Martin Friedman, formerly of Colorado Ballet, have taken over the program. The company has blossomed since their time, but was pretty much sub-standard when they were there. Has the Kirov maintained it’s standard since they’ve come? This is an excellent question, but I don’t think I can give you an answer. I think it is just too soon to tell how this will play out, though many are watching this issue with great anticipation. Hi — my daughter will be 13 in June, and has been dancing several hours a week for 3 years. She was just accepted into Geksey Kirkland’s SI (Junior) and Joffrey NYC all programs for 2011. We’re trying to decide whether the Joffrey Intensive will be too tough, and whether she would be better off in the Junior division. Also, whether she should do 2 weeks at Joffrey and then the Kirkland SI for 3 weeks. She’ll live at home either way…wold appreciate feedback on the programs! Congrats to your daughter. Is this her first SI away? At her age, my developmental philosophy would dictate that she choose one SI instead of two shorter ones. I find that being away from home is very tough for kids at that age, and the double adjustment to new places/people that she would have to handle with two short programs would I think be a little too traumatic. Also, I think that unless there is some strategic reason for visiting too schools – exposure to multiple Artistic Directors if the student has a chance to get into the company or apprentice program, for example – it is best to find one school for the student to stay with for the summer so they can develop in that summer curriculuum and build on their technique a little more intensively than they could in a shorter program. You have a choice between two excellent schools here – I think your daughter would get quite a lot out of either program. To me, the issue is more about what you/she feel she needs to get from her summer training. As you know from reading other responses, Kirkland’s program is geared towards developing the student artist in preparation for story ballet work. The Joffrey will have more emphasis on sheer technique in comparison, though Kirkland has some excellent tech teachers on staff. Personally, I feel there is a limit to how much artistry you can pull out of an average 13 year old given, for instance, their limited life experience, but if your daughter is in particular need of developing her expression, Kirkland’s SI might be just the thing for her. Woops! I just realized that you said she’s live at home either way – sorry, I thought you said the reverse. Doesn’t change my recommendation though. All great schools. I would suggest exactly what you are considering, BBS for summers and Kirkland’s for year-round, at least to start. Can she split summers with BBS and Kirkland’s and decide later in the summer which to attend year-round? I don’t recall off-hand. Or is Kirkland requiring an early decision on the year-round program? I rarely advocate split summers, but it can be important to experience a summer with a school before committing to a year-round stay, so if she is comfortable with it, it’s worth considering. Kozlova’s school would be an excellent opportunity if she gets in, so you may have to rethink this if she auditions and is accepted there. I would actually rely heavily on your daughter’s feel of the school/teachers and simply where she thinks she would be happiest. Kirkland’s and Kozlova’s schools are both relatively young, but they both have excellent reputations for a reason. Your daughter would undoubtedly get a lot from either program, so that it comes down to her “clicking” with the school/teachers/philosophies and her goals for the future. As I’ve mentioned many times in these comments, Kirkland’s school focuses on training story ballet dancers, so that other schools may seem to have more of a technique focus in comparison. I think your daughter is at an age where she can begin to get a lot from artistry training, especially if her technique is advanced for her age. That said, Kozlova’s school may, in comparison, develop a more versatile dancer. Just extra information if you’re interested. My friend went to Kirkland’s summer and then later the year round program and she loves it. Also, Whitney Jensen from the Boston Ballet just recently graduated from Valentina Kozlova so thats ultimately what your daughter would be striving for. I would look her up as an example of the excellent training dancers recieve. Hi! This is Emma (her daughter). I just wanted to thank you all. It is so wonderful to get an outside opinion and setting up this blog was a fantastic idea 🙂 Thanks for all the great info. I really like story ballet so I think I’m going to go with Gelsey but still will audition for BBS pre-pro and Valentina. Your insight about what they each offer was really helpful. I am going to split the summer between Boston and Gelsey, and I’ll let you know what the school year brings. 😀 Thanks again! Thank you for all the excellent information. Can you tell me the differences in the level of training/students in ABT intensives outside of NYC ? For example ABT Detroit Vs ABT California ? Thanks for reading Rudy! My understanding is that, overall, the ABT summer faculty for their satelittes are pretty comparable to each other. Many have gone before you and tried to find hidden or implied meaning in placement between satelittes, but honestly there doesn’t seem to be much decoding why certain dancers are sent to certain locations. As for faculty, again they overall seem to be comparable. I am going to recommend that you do two things. First is to read the articles that I authored after this one about “Choosing your SI”. Next is create an account at BalletTalk for Dancers, where you will find an enormous amount of useful and specific information about almost every SI in the US and many abroad. Certainly the ABT program has a good reputation and none of their locations have a reputation for being poor, but at this level the answer of which one is “best” is not only relative but very dependent on what a dancer is looking for in a school. Good luck to you!! Is there any information you can offer about what to expect? Also, I found the SI audition to be pretty challenging, so it was a big surprise when I was accepted. Eliza Kay – First off, Congratulations! It is wonderful that after the setbacks you encountered that you “went for it” by auditioning. Be proud of that. It is very natural to feel nervous about attending an SI away from your home studio, particularly when it is selective and fairly prestigious. What always helped me and what I think will help you is to remember that you were chosen out of many based on your dancing. You earned that spot and will belong there just as much as any other dancer attending program. Also, you will be there to learn just like everyone else will be. Remember that no one has a truly perfect body for any sport/art. It is just about learning to do your best with the facility that you have. I have seen many dancers that at first glance do not seem “dancer-ish”, but once they start moving you can’t look away! Again, the Kirov clearly saw something in you that they would like to work with. Embrace the opportunity to improve, learn and meet other dedicated student. Try to let go of emotional barriers or self-doubt that could interfere with that. It’s not always easy, but it’s an important part of becoming a better dancer and person, not to mention a happier one. For specific information and first-hand accounts of the program, I highly recommend that you create an account at BalletTalk for Dancers. You will find an entire forum created for Summer Intensives, along with specific strings dedicated to each SI, including the Kirov. Good luck and have a wonderful summer! they had geust teachers from nycb, orlando ballet, saratoga springs summer intensive, and one other amazing teacher! I wish to have more insight on strongest schools for male instruction going into next summer year. My son is 13 and has received scholarships to the schools he has auditioned for. He has gone to Boston Ballet, Pittsburgh Ballet and is currently attendin Jose Manuel Carreno’s 4 week program. Balletboydad – Congratulations to your son on his accomplishments! I ran out of room responding to your question, so I am making a post for you out of my answer. I’ll try to complete it tonight or tomorrow. Thanks for reading! You seem to have pretty good knowledge! Thanks….I will await your reply. Lol…we haven’t seen our son in about two months now and I’m already looking to next yr ughh!! Just posted my response. I remember those days myself – once you start, it’s a not-stop cycle! But it does so much for the students to have them attend these programs. Hang in there! hi!i am a very serious 13 yr old ballet student and i would like to go to the S.A.B SI.but i heard they only take super skinny girls.well i am not skinny and i dont have hyperextention.but i did get exepted into Gelsey Kirkland and i went to A.B.T. this past summer.do i have a chance of getting in? “As for preferred body type, SIs including SAB are looking for dancers of a healthy weight who have a suitable physical facility for ballet. By facility, I mean dancers with good rotation for turn-out, long-ish and flexible limbs, supple muscularity, balanced proportions and an overall good “look”. A body with a longer limbs and a shorter torso may be of particular interest to them. If you Google “Balanchine body”, you’ll undoubtedly find a lot of info about the particularly skinny look that Mr. B required of his dancers. I am not going to tell you that some SIs, do not accept underweight dancers. However, let me seriously caution you that without a proper muscular structure and proper food intake, a dancer simply cannot perform as required. Sadly, some SIs might overlook an underweight dancer who is able to “get through” an audition, but these dancers generally do not make it far in ballet due to their sheer inability to physically keep up. It would be remiss of me to state that preceived excess weight never comes into the equation of rejection, but the most important thing is to be of a healthy athletic weigh, and that means being neither under nor over-weight. thanks so much!i really appreciate it! You are welcome Ruby! I’m so happy to have been helpful. I’m looking forward to writing the 2012 auditions list – I cannot believe it’s already been a year!! Ballerinababy, congratulations on getting back to dance. I don’t think your experience really changes your eligibility for any summer programs – you either are or aren’t prepared and the auditioners will see that. I would simply try out for the programs that interest you and choose the program that offers the environment that appeals to you most and is most appropriate for your learning needs. Think less about the break you took and more about what your strengths are, how you learn best and what areas you want to work on most. Good luck!